Almost all women and some men all over the world tend to shave their legs on a regular basis. However, this is really annoying when you have to repeat it day after day because it takes up precious time. In this article we are going to present you a “sugar paste depilation” hair removal technique which will help you get rid of unwanted hairs in no time. People usually tend to use many alternatives of shaving which unfortunately contain hazardous chemicals that damage your skin. Luckily, this amazing natural technique uses all natural ingredients and they are: sugar, lemon and water. Take a deep pot and then pour ¼ cup of water, ¼ cup of fresh lemon juice and 2 cups of sugar. After that, cook the ingredients on high heat for 4 to 5 minutes. Once boiled, remove the mixture from the heat and pour it into a separate bowl. You should get a caramelized sugar cake. Let it cool down for a bit and then start pulling it apart.At this point, your mixture will have a similar texture to chewing gum. On the other hand, if it is too solid, add a tiny drop of water. Prior applying it on your skin, make sure it is clean. Dry the skin well and apply the separated parts of the sugar paste. Remember to apply it in the opposite direction of the hair growth, and then pull the pieces of paste off your leg. You are done. 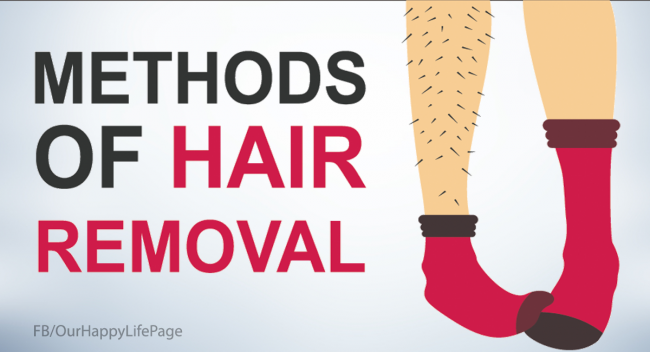 Even though it is a bit painful, this method is far better than waxing because after only a few sessions, your hair will be softer and thinner.Don’t hesitate and try this extremely effective method which will help you get rid of unwanted hair in no time.